3. i-TOOL and X-TOOL for TH desoldering. Tools are automatically de- tected when inserted into the station and a pre-determined program is started. 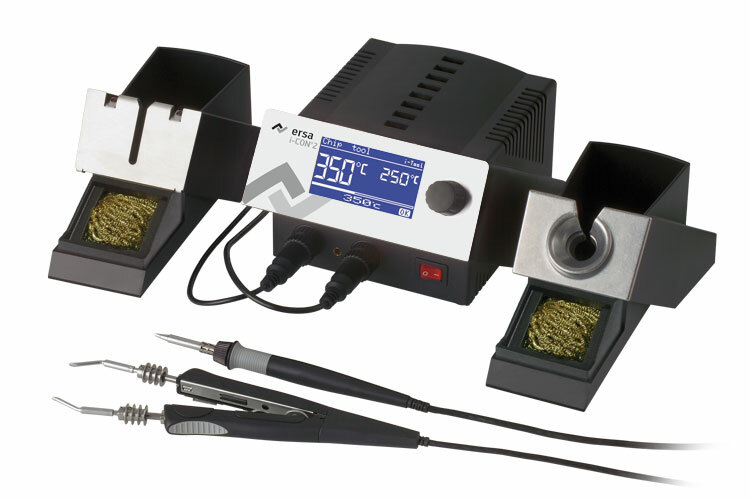 The CHIP TOOL offers a wide range of SMT desoldering tips for safe and fast removal of the smallest chips (0201, 0402, etc.) up to medium size PlCCs.